As the inner resource that drives us to pursue activities, to put forth effort, and to avoid failure, motivation is key to overall well-being. Self-efficacy and future goals are important to understanding and reinforcing the motivation to learn, especially for students in classroom settings. Written by a leading expert on motivation, this book situates the topic within the broader context of educational psychology research and theory, and brings it to a wider audience. 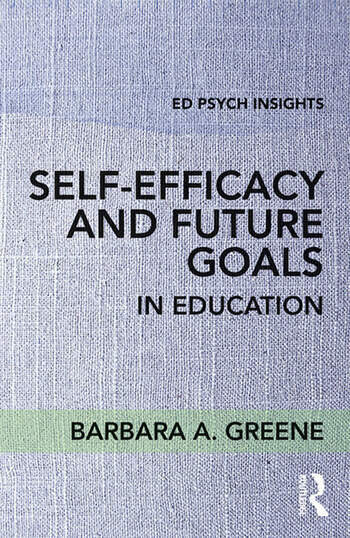 With chapters on the fundamentals of self-efficacy and future goals, their importance for student learning, and how to develop them in educational settings, this concise volume is designed for any education course that includes student motivation in the curriculum. It will be indispensible for student researchers and both pre- and in-service teachers alike. Barbara Greene is Brian E. and Sandra O'Brien Presidential Professor of Educational Psychology at the University of Oklahoma, USA.